Rosen Diankov, Takeo Kanade, James Kuffner. 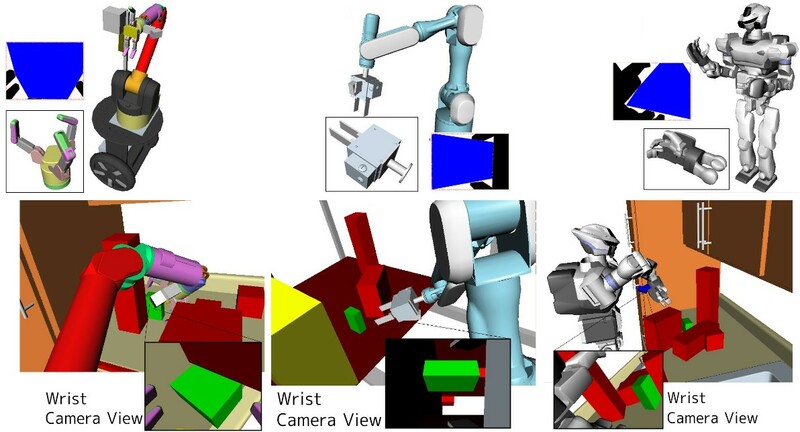 Integrating Grasp Planning and Visual Feedback for Reliable Manipulation, IEEE-RAS Intl. Conf. on Humanoid Robots, December 2009. 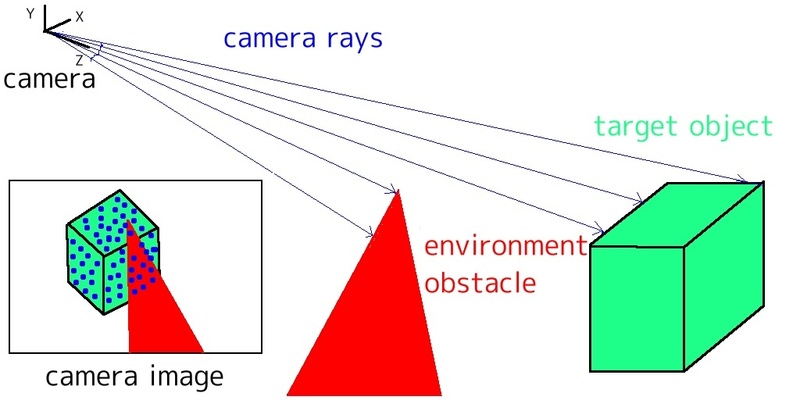 Processes the visibility extents of the target and initializes the camera transforms. Prunes the currently set transforms along a cone centered at the local target center and directed towards conedirangle with a half-angle of |conedirangle|. Can specify multiple cones for an OR effect.